Carina's research is about exoplanets - planets around other stars. Thousands of exoplanets have been discovered in the last 25 years in Milky Way, our own galaxy. Most of them are very different to the Earth and no exo system so far is similar to our own planetary system. Now, both Europe and USA put in extra efforts on new space telescopes with the goal to find earth like planets around stars similar to our own sun in the Milky Way. Carina participates in the preparations for two of these space projects, CHEOPS (to be launched in the end of 2018) and PLATO (to be launched 2026). She also uses data from existing space telescopes (Kepler/K2) to in combination with ground based observations (HARPS and FIES) in her research. 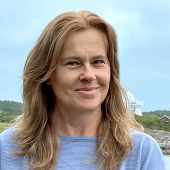 There might be more projects where Carina Persson participates, but you have to be logged in as a Chalmers employee to see them.